The home of Newbattle Golf Club lies no more than seven miles from the city of Edinburgh. It is situated adjacent to the market town of Dalkeith. The course is within the Policies of Newbattle Abbey and it is a matter of historical record that over the centuries many Kings and Queens of Scotland and of the United Kingdom, during their visits to the Abbey, have traversed the land on which the course stands. 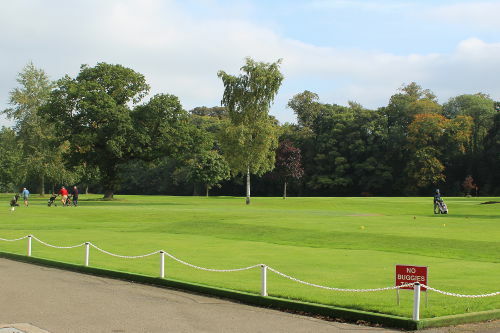 The original Dalkeith Golf Club was formed in 1880 by a group of local businessmen. They did not possess a course of their own but played on nearby links courses. In 1896 a 9-hole golf course was laid out at the nearby King’s Lines and Dalkeith and Newbattle Golf Club was formed. Newbattle golf course was designed by Harry Shapland Colt. 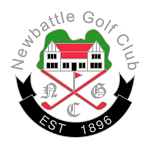 In 1934 the club moved to its present site and changed its name to Newbattle Golf Club Limited. The course was designed by Mr H S Colt of Messrs Colt, Alison & Morrison who were acknowledged to be the best known golf course architects in the country. The first two holes and the last two holes of the course are laid out along a ridge on which the Clubhouse stands and on the lower ground along the River Esk. The remainder of the course is on higher ground on the opposite side of the river which is crossed by the centuries old Maiden Bridge. The course is enclosed on every side by woods, which, particularly in the Autumn, are a delight to the eye and contribute to an atmosphere of seclusion. In 1984 the club celebrated its fiftieth anniversary on the present site and one of the events organised to commemorate the occasion was a charity exhibition match featuring the Scottish professional Sam Torrance; two top Scottish amateur players, Charlie Green and George Macgregor; and the club champion for that year, Keith Goodwin. Sam Torrance delighted the crowd with some excellent golf, finishing with a round of 65. The club entered its centenary year in 1996 and published a book celebrating its 100 year history.